Hi! We are offering limited fun agriculture experience! You will have a lots of fun with your group (its a private tour) also get incredibly tasty things made in Japan. Why don't you join us! 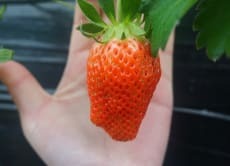 Experience Strawberry Picking in Dragon Farm, Chiba!